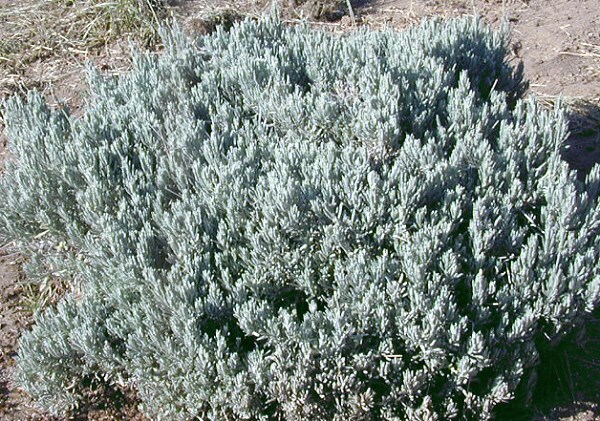 Goodwin Creek Gray Lavender has toothed gray leaves reminiscent of one of its parents, Lavandula dentata. The flowers wands rarely exceed 12 inches and the flowers are small and medium dark purple. It should be sheared in late summer to maintain a pleasing shape. We have read many times that this plant is recommended for indoor growing, but, truthfully, no lavender is going to do well under normal indoor growing set ups. Fungus is a real problem for lavender and it is made worse by stagnant air. The flowers do have a pleasing dusty purple color when dry and a light lavender fragrance. This plant is often available in plug trays. These trays hold 128 of all the same plant. They are a great low cost way to fill a lot of space. Each cell is 3/4 of inch by an inch. Check here to see if Goodwin Creek Lavender Plug Trays are available. Goodwin Creek Lavender makes a great addition to our Zone 8-11 Fragrant Herb Garden Six Pack.